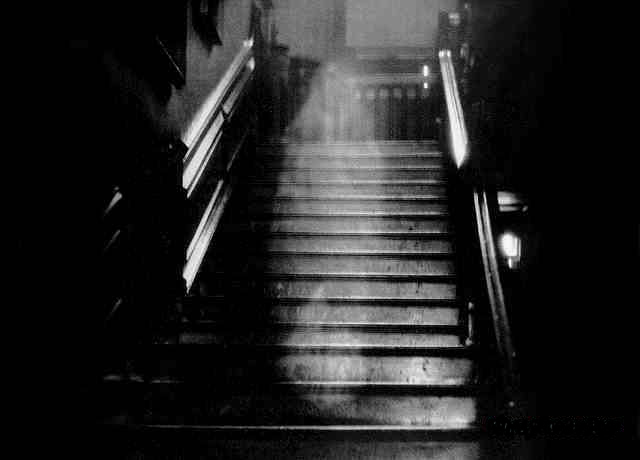 This image of The Brown Lady (so called due to the color of her gown) of Raynham Hall, Nolfolk, England, is one of the most famous ghost photos in existence. It was taken in 1934 by Country Life photographer Captain Provand, who in one account fired shots at the apparition. 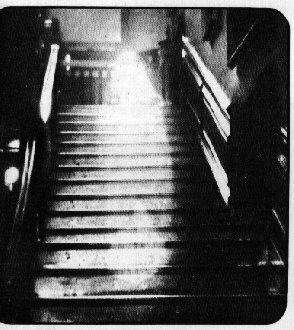 Atypical for the majority of ghost photography, Provand claims he and an assistant both saw the ghost before he took the picture. Though it looks fishy (and I've included three different versions of the image having no idea which is most faithful to what they saw), decades of testing have never proved it to be a double exposure or other variety of fake. The ghost is thought to be Dorothy Wolpole, the sister of Robert Walpole--England's Prime Minister in 1722. According to one story, she was imprisoned in Raynham Hall by her husband and forbidden to see her children after he learned she had been unfaithful to him. Many witnesses remark on aura of sadness she projects, while others describe her eyeless visage as one of pure malice. Back to The Cobra's Ghost!